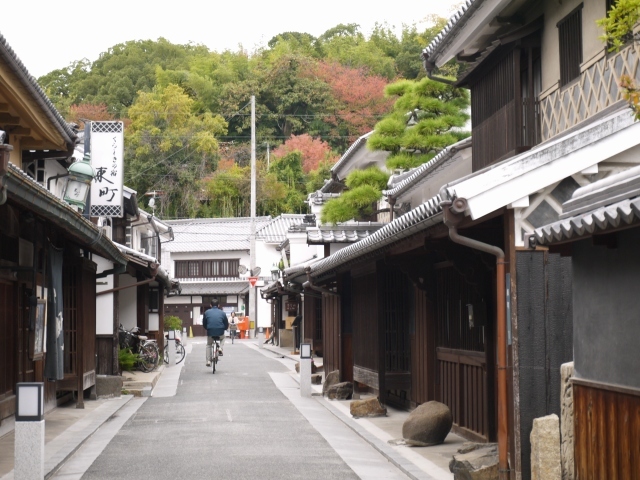 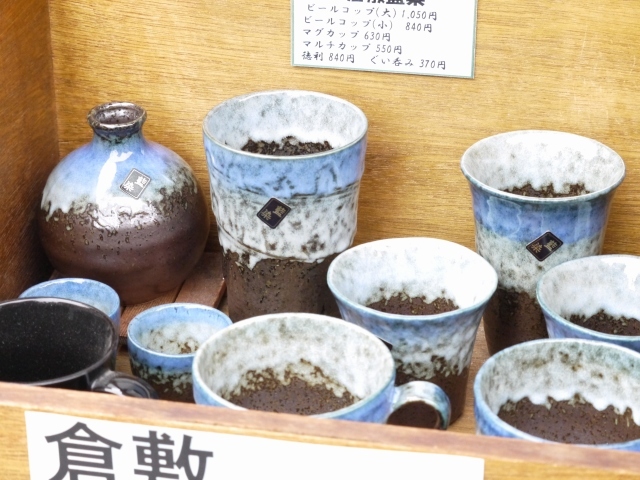 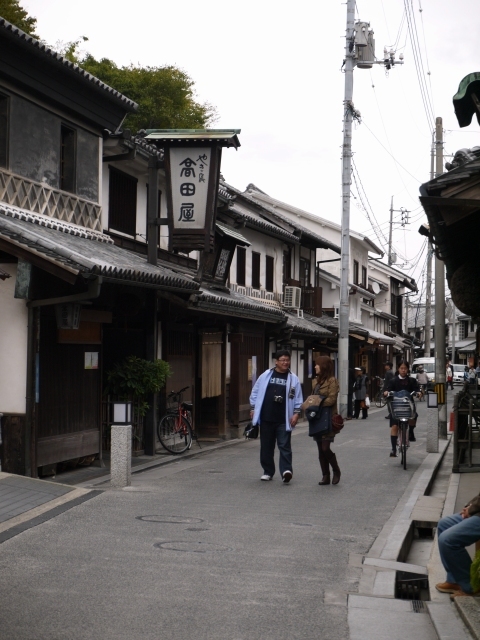 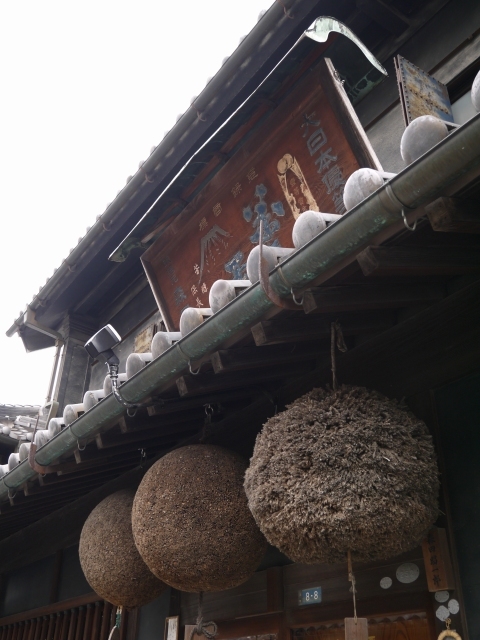 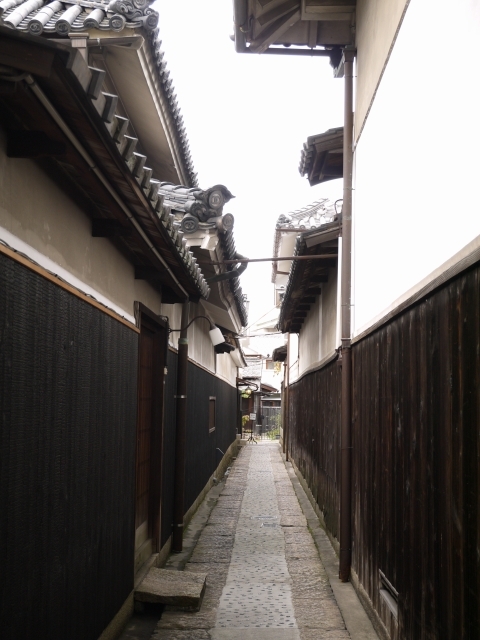 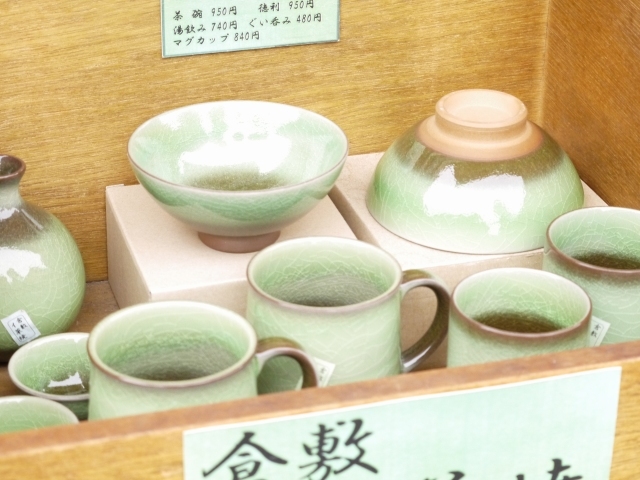 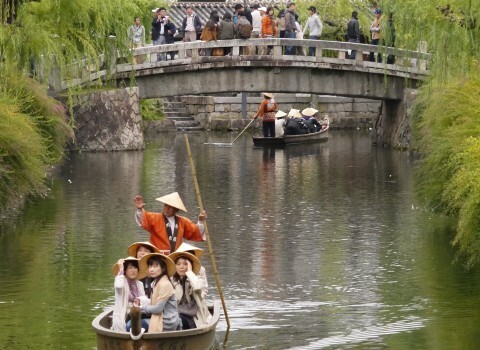 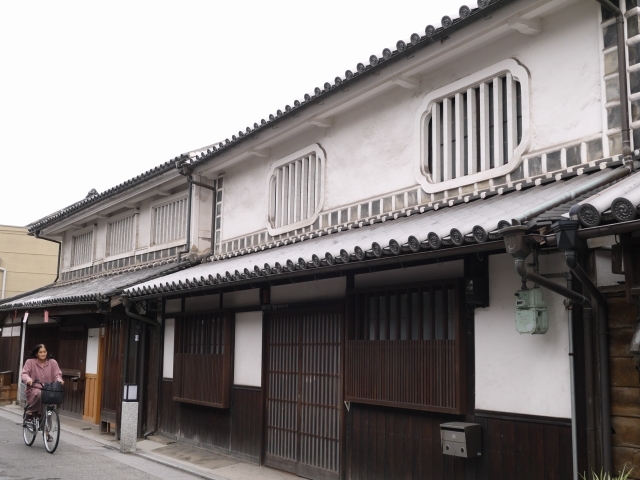 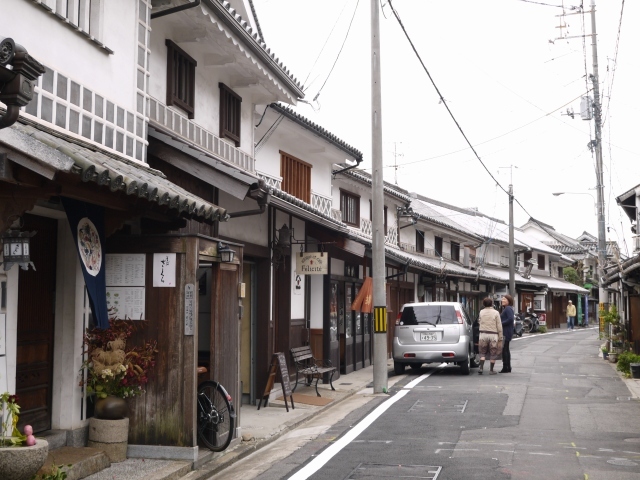 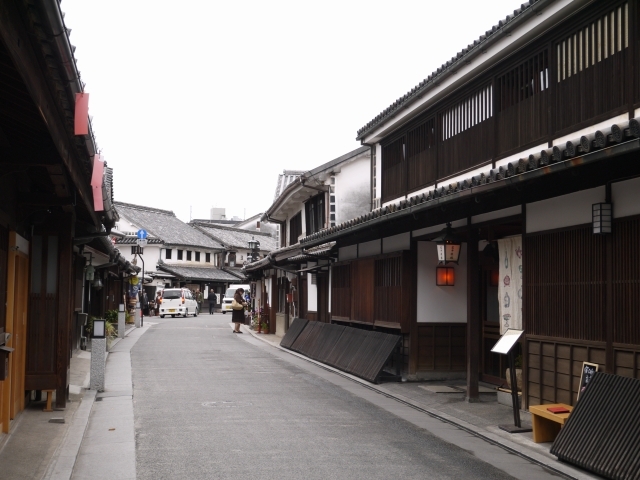 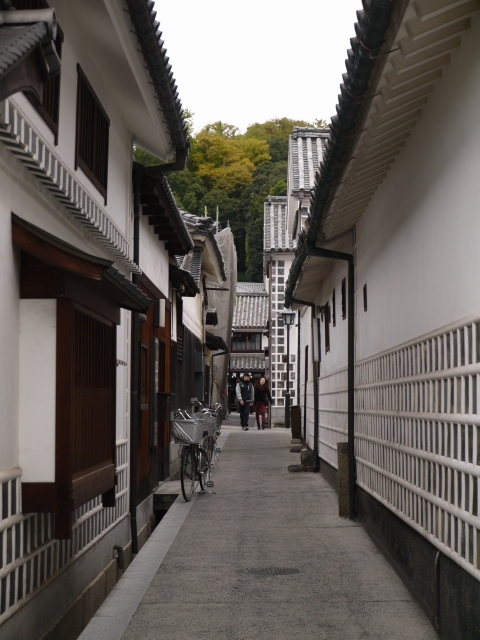 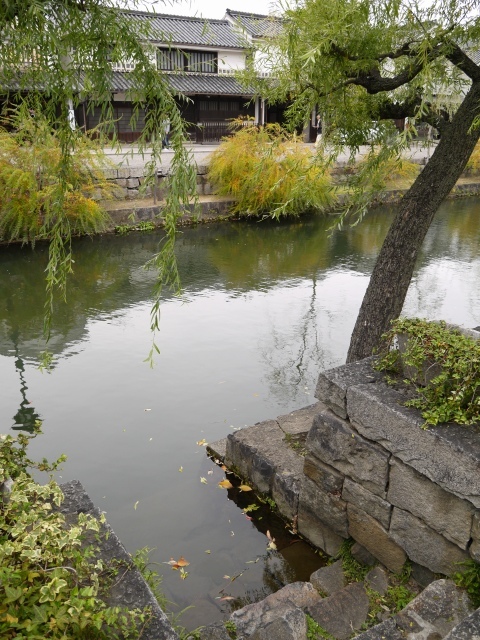 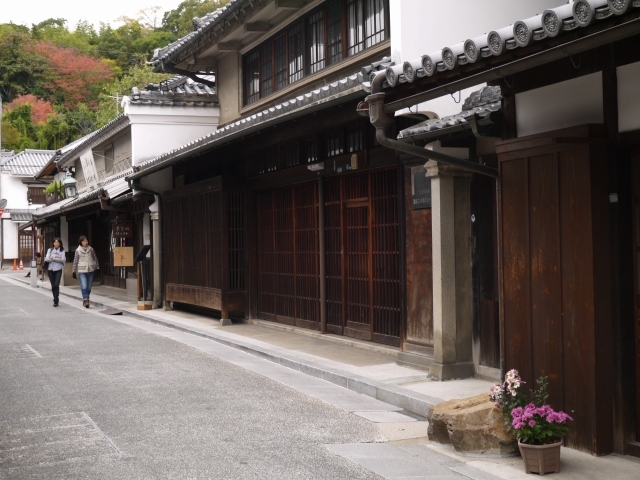 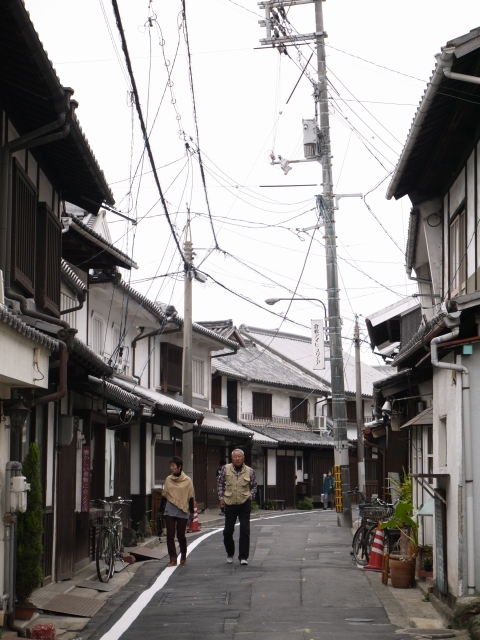 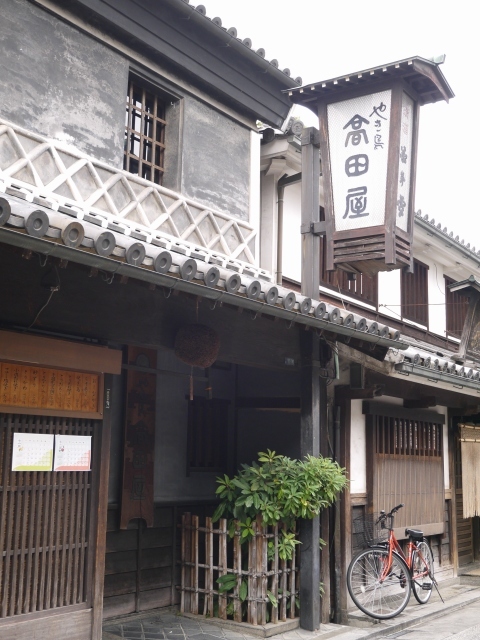 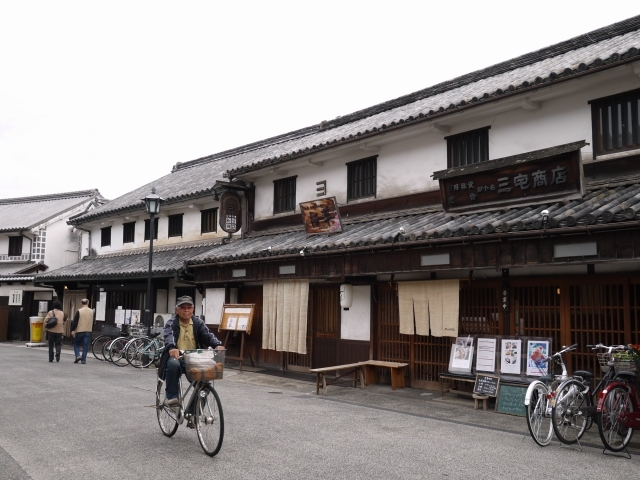 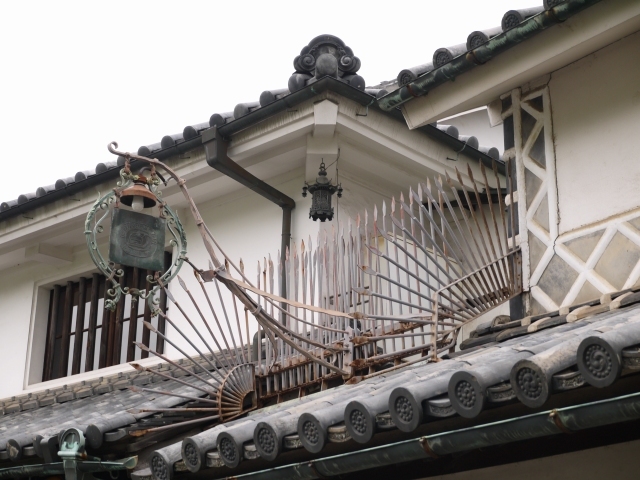 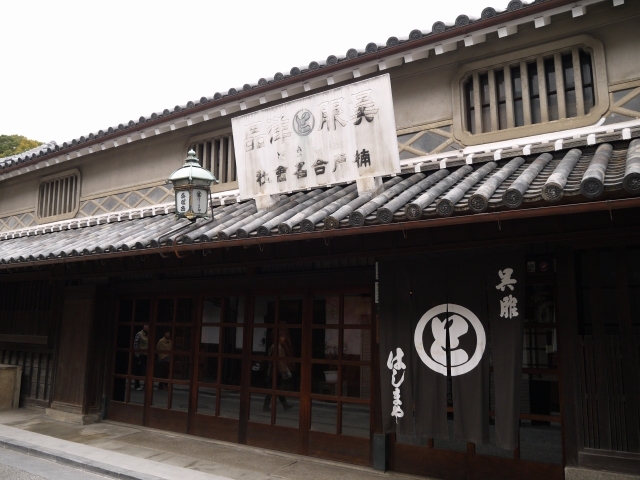 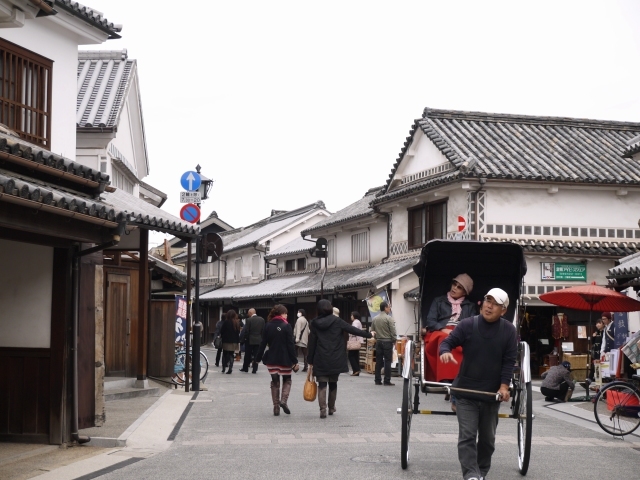 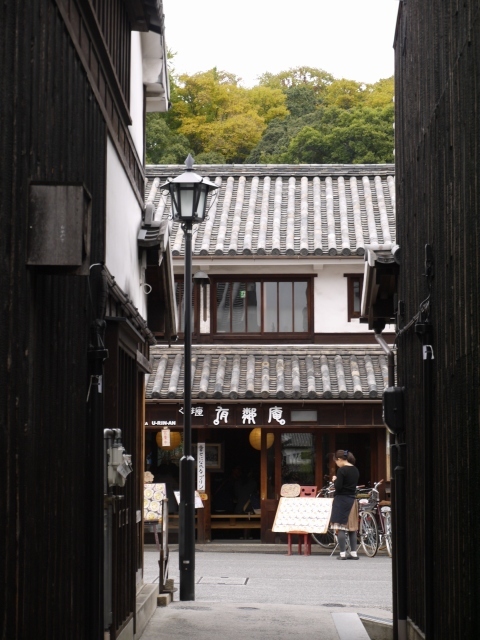 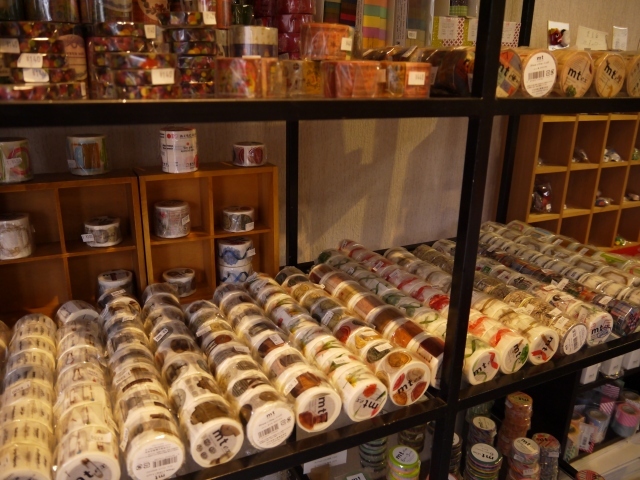 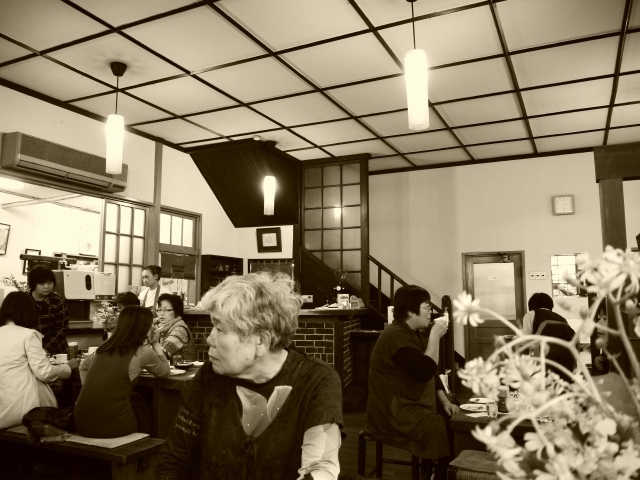 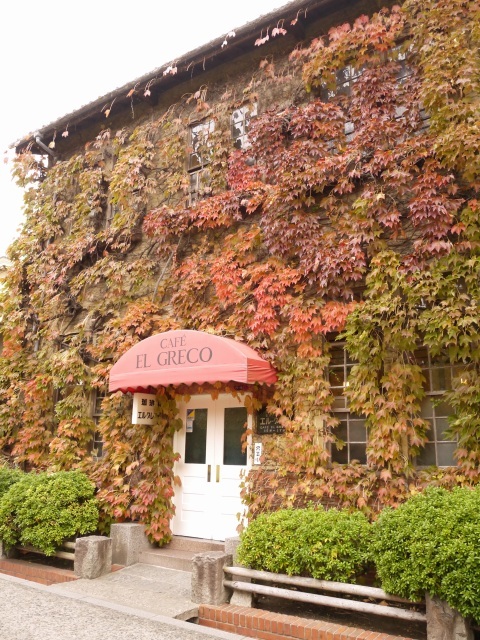 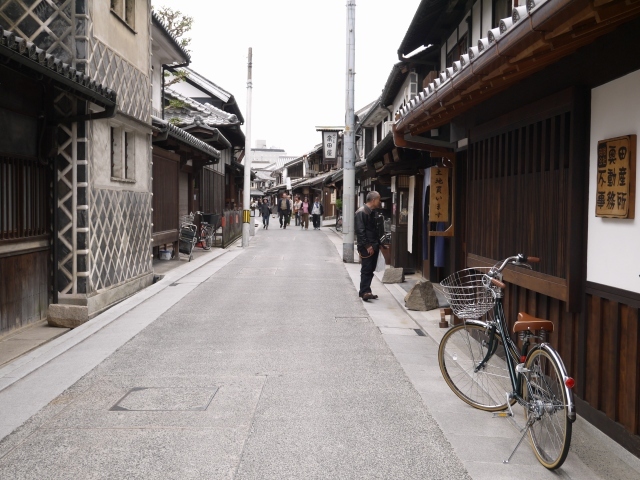 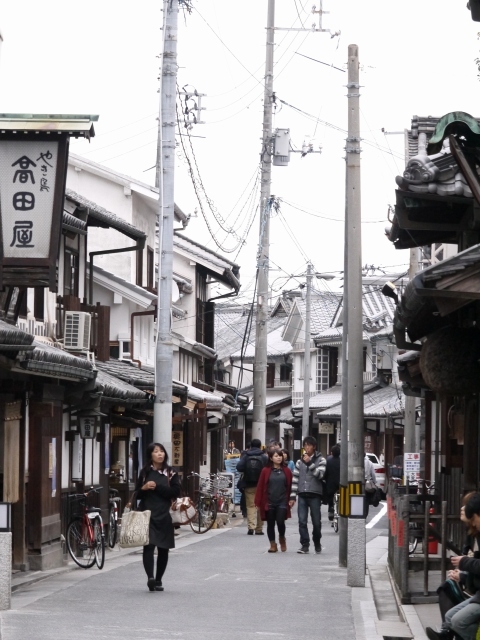 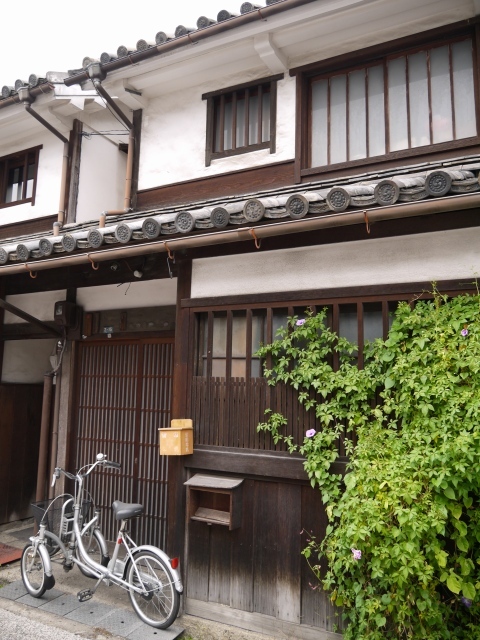 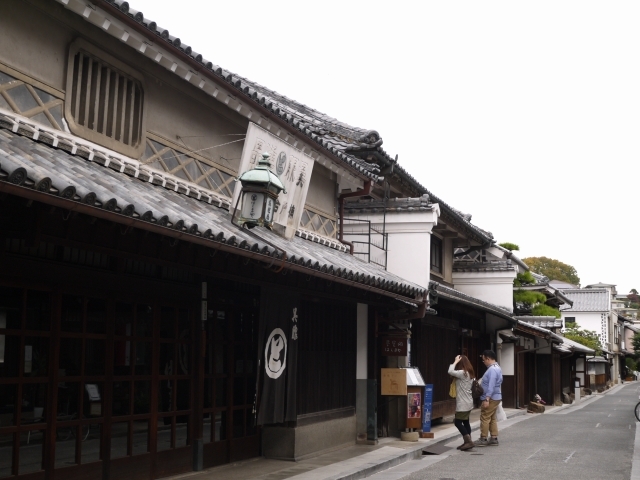 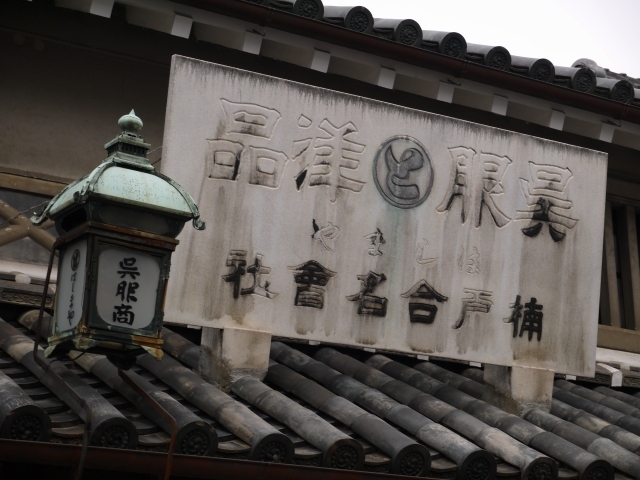 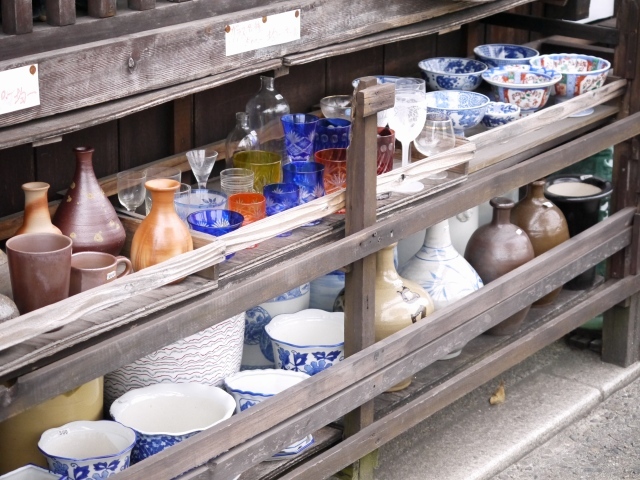 In Kurashiki, the old merchant quarter is called the Bikan historical area. 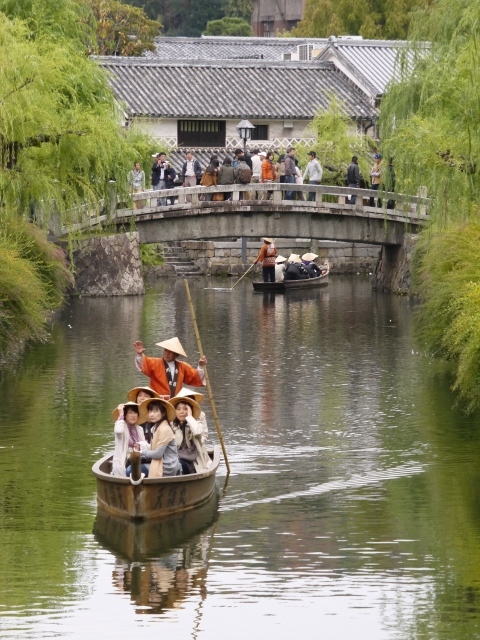 It contains many fine examples of 17th century wooden warehouses (kura) painted white with traditional black tiles, along a canal framed with weeping willows and filled with koi (fish,Cyprinus carpio) . 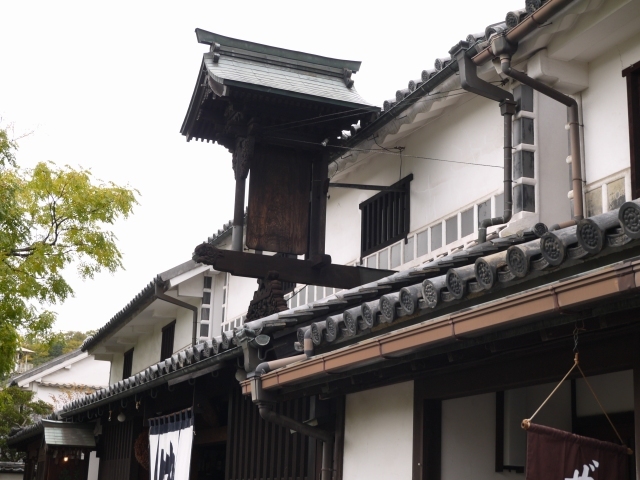 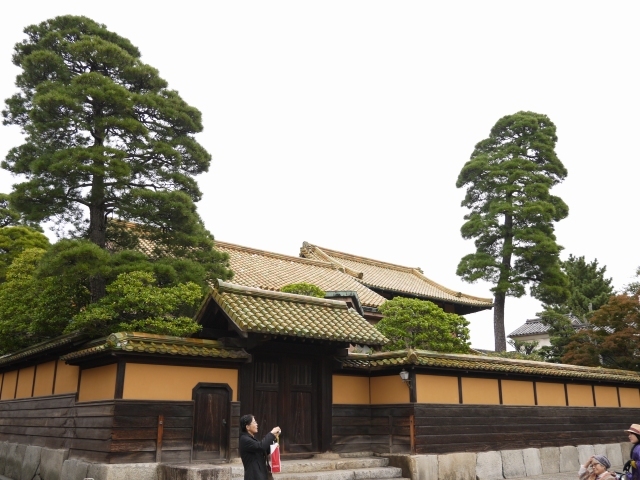 The area has no electric poles in order to make the area more closely resemble the look of the Meiji period.